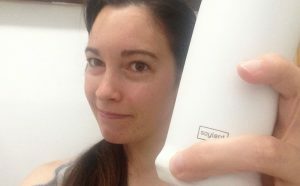 As he explained, the company behind Soylent released a 2.0 version that comes pre-mixed and packaged in individual servings. Part of my disinterest in the product before was that version 1.0 (a powder) required you to mix three servings of the drink at a time and keep them refrigerated. That’s fine if you’re drinking them as meal replacements for every meal of the day, but I just wanted something for an emergency meal on the go. Needless to say I had a million questions about version 2.0. After he answered all my questions I asked my friend if he was getting some kind of sales commission for what seemed like the best pitch for Soylent I’d ever heard. A few days later I was ordering a box on Amazon. My friend told me that while version 2.0 is drinkable at room temperature, it’s much better when chilled so I popped my bottles in the fridge when they arrived. 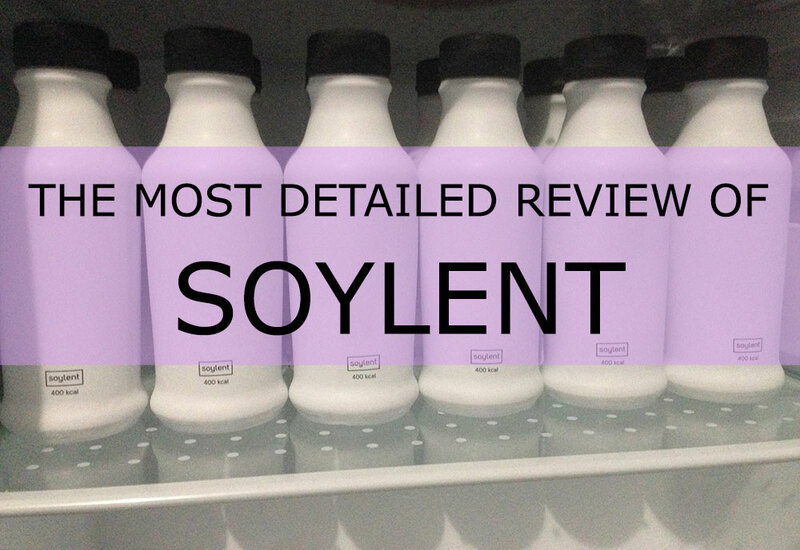 If you’re wondering what exactly is in Soylent I can give you a hint, it’s not people. As the name suggests, it’s primarily soy with guest appearances from algal oil and isomaltulose. Of course, there are also some added vitamins and minerals, but the idea is that it should have the nutritional contents to make up 20% of your daily recommended…everything. All right so you’re probably wondering how it tasted, yeah? My first impression was that it tasted like white. If the color white had a flavor this would be it. It was nearly flavorless, which really was a significant improvement over the powdered version. It was entirely drinkable, easy enough to keep on hand, and unlike a lot of the other meal replacement drinks, I felt full after drinking it. What I didn’t particularly like was the packaging. The label was very trendy, but these are white bottles, covered in white plastic, just so a small square of text could be printed on the bottle. The top section of the plastic label tears off to expose a black cap. When you take that off, there is a foil seal over the bottle that needs to be removed before you drink it. Unfortunately, whatever adhesive is used to stick the foil to the bottle creates weird strings of glue that aren’t easily removed. You can kind of feel them on your lips as you drink and I didn’t like that. The cost-per-meal is good coming in around $3-4 and still cheaper and healthier than any fast food you can get. I don’t think I would want to drink these for every meal, but if you did you could save a fortune on your grocery bill! The company does make a few other products, but I wasn’t as interested in those. There is a coffee blend of Soylent called Coffiest that I hear is better than version 2.0, but I don’t like coffee. They also just released an energy bar that looks pretty decent, but the cost per calorie is significantly higher than Soylent. For me there is a point at which my “quick meal” gets expensive enough that I would rather just grab a decent lunch and enjoy my food. I suppose that’s why they recommend the energy bar be used as a snack instead of a full meal replacement. Please feel free to ask me any questions about my Soylent experience. I’m truly enjoying this little experiment and it’s got to be healthier for me than picking up Taco Bell! Thank you for the auspicious writeup. I really want to try Soylent. I might try it for a month or so and see how it goes.